« Tarik Solak: Return of the Super-Promoter! Phil Rothfield recently published an editorial in The Daily Telegraph that has gone viral across the Facebook pages of many of the people I know. It’s a pretty inflammatory screed, and I’m surprised any credible newspaper would publish it; the comment about ‘allowing’ women to fight on the card alongside men must have left feminists, along with fight-fans, scratching their heads. The truth is that controversy sells papers, and this can be the only conceivable motive behind publishing something so ill-conceived. Many of the questions he raises could have been answered through his own cursory research: fighters are protected from blood diseases because blood testing is mandatory. Furthermore, describing any of the combatants on the card as ‘defenceless’ seems ridiculous to the point of laughter. To suggest what happened in the cage on Saturday is illegitimate simply because it’s illegal outside of it is the same argument which should also ban motor racing. So too, the injuries. The film about the 1976 Formula 1 Grand Prix, Rush, depicts a driver being decapitated when his car careens out of control and slams under a barrier. The film also cites the statistic that drivers had a 25% chance of fatality every time they went out on the track. 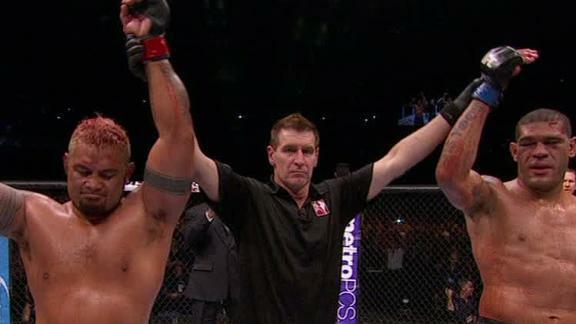 There haven’t been any deaths – or decapitations – in the UFC. The debate surrounding cage fighting and its legitimacy has great momentum all the same, and it keeps coming back to the question of why the spectacle of fighting draws such a huge audience. Ernest Hemingway once wrote that boxing and bullfighting were ‘above’ other sports because of the blood that is in them. We need the ritual of fighting as a way of reclaiming the violence that is native to our species and expressing it in a safe context. Furthermore, the Hunt-Silva fight is aptly described as the ‘best’ UFC heavyweight fight in the sport’s history not only because it marries exceptional technical proficiency with toughness and determination, it also shows both combatants united in a display of mutual respect at the end. The judges’ decision was better than accurate, it was just; that kind of courage and determination made both fighters the winner. They finished the fight as equals. This was not a squalid battle for survival. It was a contest that elevates both men. Carl Jung, one of the fathers of psychoanalysis, devised the notion of the shadow. The shadow is the aspect of the self into which the conscious mind pushes everything it considers undesirable and ugly. The subconscious doesn’t tend to take this lying down, however; anything repressed into the ghetto of the shadow tends to come vaulting out bigger, uglier and more unruly than before. Fight-sports are, in part, a celebration of the darker half of our inheritance. Perhaps in the era of political correctness, figures like Mars and Athena have fallen out of vogue and are making their way back to take their rightful place in the pantheon. Indeed, the pantheon is not complete without them. Look deep into the mirror, Mr Rothfield. If you look deep enough, you may see Hunt and Silva staring back at you. 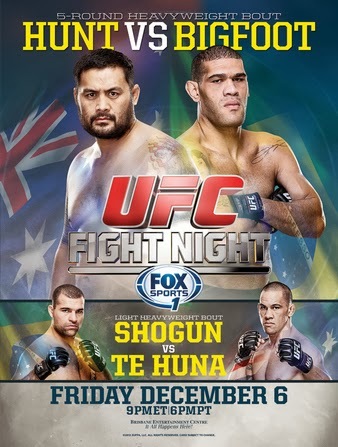 This entry was posted on December 11, 2013 at 7:52 am and is filed under Kickboxing, Real Men with tags Antonio Silva, Boxing, bullfighting, cage fighting, Carl Jung, Cormac McCarthy, Daily Telegraph Newspaper, Ernest Hemingway, Mark Hunt, motor racing, Phil Rothfield, Rush, The Crossing, the Shadow, UFC. You can follow any responses to this entry through the RSS 2.0 feed. You can leave a response, or trackback from your own site.